New Animated Movie Featuring Ash and Pikachu’s Origin Story Coming to Cinemas Worldwide as a Limited Theatrical Release on November 5 and 6, 2017. 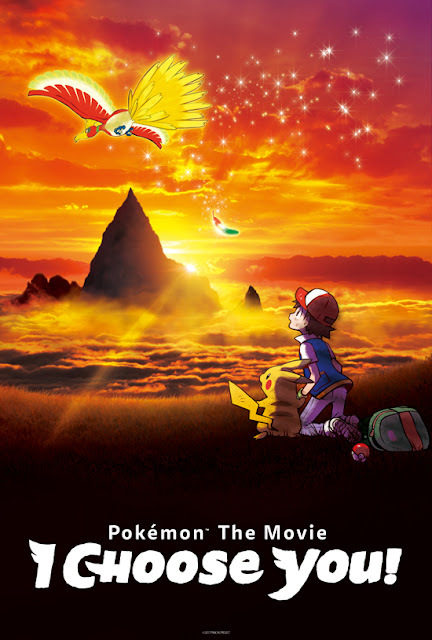 The new animated film Pokémon the Movie: I Choose You!, based on the globally popular Pokémon brand, is coming to movie theaters around the world for two days this November. The Pokémon Company International announced today that it has entered into an agreement with Fathom Events, the recognized leader in event cinema distribution, for international theatrical rights to the highly anticipated movie outside of Asia. Pokémon the Movie: I Choose You! will be shown in movie theaters for two days only, on Sunday, November 5, and Monday, November 6, 2017, in select international markets. More details, including screening times and special offers, will be available soon. The movie is already winning over crowds of moviegoers in Japan, where the franchise began, as it opened at the top of the charts for its first weekend. More information, including participating theater locations, ticketing dates, and event details, will be available soon on www.FathomEvents.com . Parents and fans can visit the site now to sign up and receive updates and details about the upcoming limited theatrical release.